On a rainy day, Sylvester finds a magic pebble that can make wishes come true. But when a lion frightens him on his way home, Sylvester makes a wish that brings unexpected results. How Sylvester is eventually reunited with his loving family and restored to his true self makes a story that is beautifully tender and filled with magic. 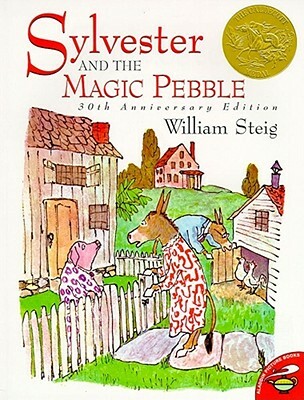 Illustrated with William Steig's glowing pictures, this is a modern classic beloved by children everywhere.